Troy, MI – I’m a Michigander by choice. My husband and I moved here over twenty years ago with a toddler and a new baby in search of good schools, jobs, and community services. We found outstanding public schools; our family visited great local parks and swam in the Great Lakes (kinda cold but salt free!). 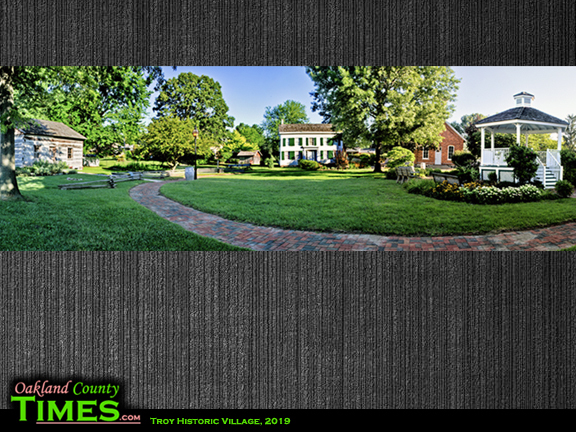 We also discovered the Troy Historic Village where we made memories and cultural connections. For example, our kids visited Poppleton School during 2nd grade – an experience which reminded them of the one-room school in my father-in-law’s ancestral village in India. As an immigrant, I related to Troy’s earlier immigrants – pioneers who’d left behind families and their support, determined to make a good life for future generations. I learned a lot about regional history at Village programs and when I hosted a tour to my temple, I shared its history with members of the broader community who were curious about the city’s changing religious landscape. I even served on the local Historical Commission, which ensured that the Village’s services were on track, and I learned about the intricacies of interpretation and the challenges associated with collections. I became the proud catalyst of a Civil War immersion program for middle schoolers (a trip back in time with Sojourner Truth and Abraham Lincoln). I even received a much-cherished American flag flown over the US Capitol at the Museum’s gazebo, as a Flag Day Award. When the City proposed to cut services and close the Village and the Stage Nature Center in 2008, I joined the Troy Historical Society, the non-profit organization that stepped forward to save it. I was so grateful that the Village wasn’t eliminated like so many other services that made the community vibrant and healthy. Understanding the past and making its lessons relevant today is critical to creating a better future. Monthly programs like Constitutional Cafes or a project like Many Stories, One Heritage, which was developed to celebrate the City’s 60th anniversary and the 50th anniversary of the Immigration and Naturalization Act of 1965, help attendees delve deeper into the complexity of our democracy and embrace our cultural diversity. A recent quilt exhibit and the interactive walkabout play, Threads, both showcased our common threads – highlighting how our differences only help to make a more vibrant unified community. 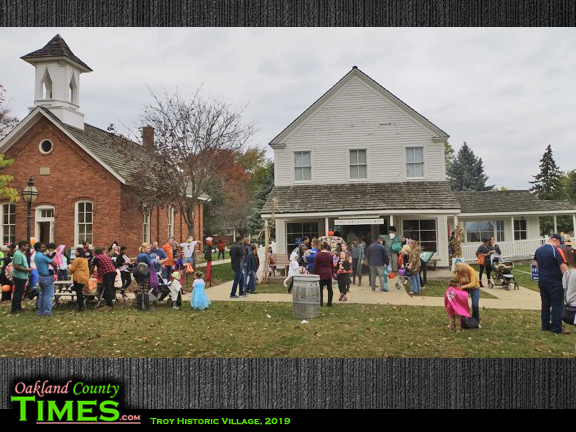 Today, I am a Troy Historical Society board member and I continue to volunteer at Village programs including our Halloween event, where you’ll find me in costume. This year I’ll be a suffragette to celebrate 100 years of Michigan women having the right to vote. In 2020 we will celebrate the 200th anniversary of Oakland County. After all, we are the only municipally-owned museum in Michigan with three locally-sourced buildings from the 1830s. 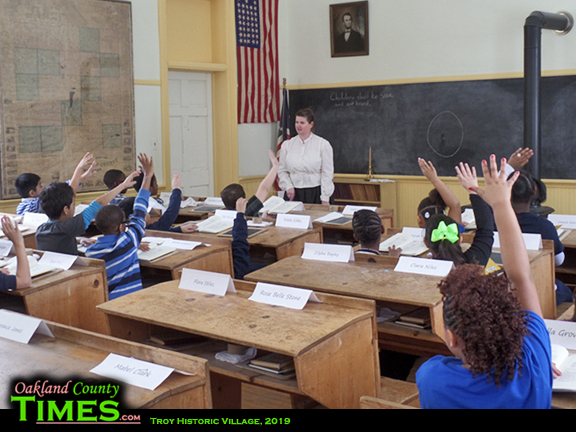 Check us out at www.troyhistoricvillage.org, join us at a program or event, become a member, and attend the Society’s annual meeting and ice cream social! You’re sure to make new a friend at this amazing place where history lives.